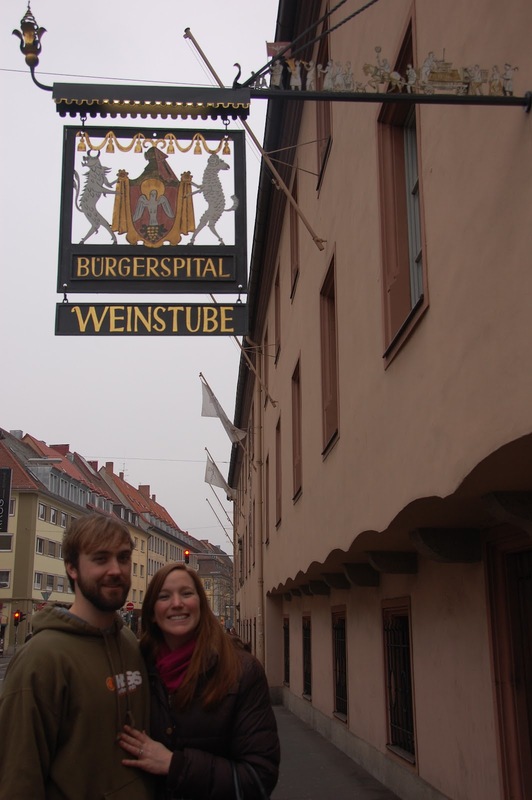 Rockin' it Out: Day Trip to Würzburg! 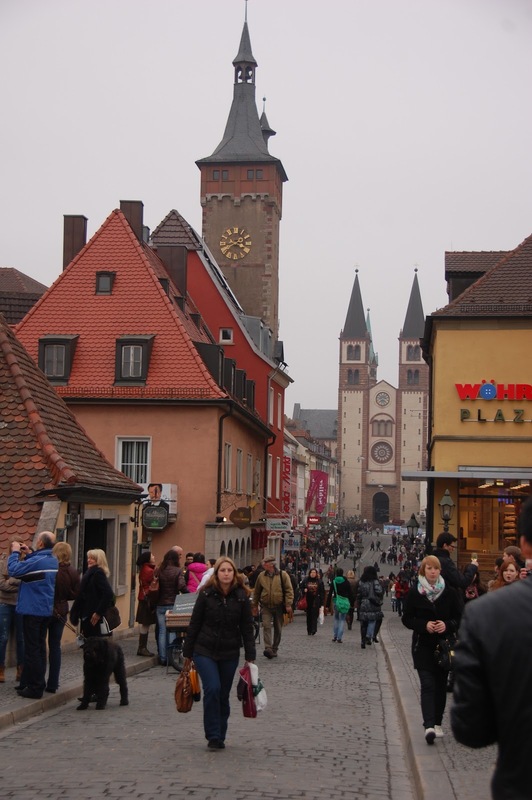 A few weeks back we decided to take a Saturday day trip to a city close by called Würzburg. We even convinced two of our colleague friends, Dan and Gina, to come with us. It was a bit gray and cloudy but we made the best of it and surprising had a very lovely time. Würzburg is only about an hour and a half from Frankfurt and definitely worth a visit if you are in the area. Justin and Dan highly interested in whatever Rick Steves is saying. We are outside the Residenz Palace. Only outside pictures no cameras inside. 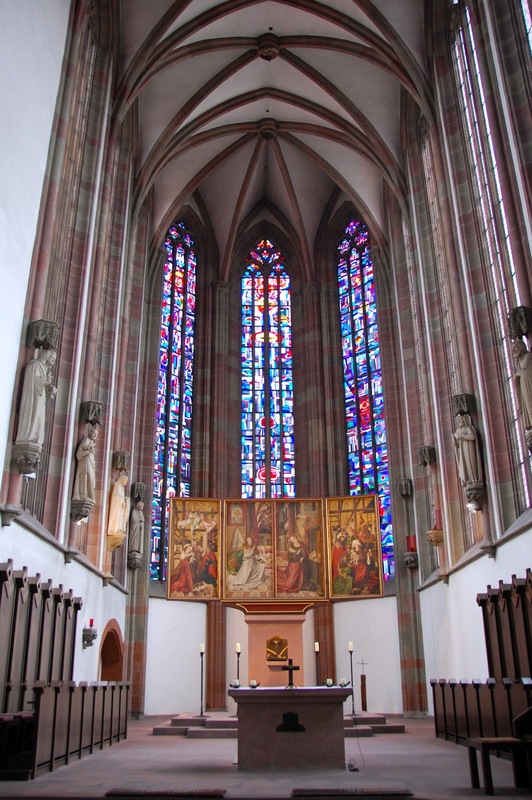 I will say it was pretty awesome inside though. One thing we didn't know about Würzburg was its reputation for wine. Well to prove it we had to sample a few. And I will admit right here on the blog I had my first good German red wine. I usually stick to the Riesling or white wine in Germany but it is possible to have a good red, wish I could remember the name. A cool side fact about this Burgerspital Weinstubbe is that it was started to actually give back to the community as a charitable foundation. Today this Weinstubbe still supports 100 poor and elderly citizens of Würzburg. We walked the streets of Würzburg until we found the Old Main Bridge and decided to sample another wine. Dan and Gina overlooking the Main river and Marienberg Fortress enjoying a nice glass of wine with the locals. 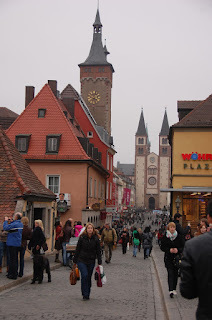 Even on a cloudy, cold day in Würzburg we managed to have a really nice trip and to sample a few good wines. If you are interested in learning more about German wine one of my fellow bloggers in Germany wrote a great piece here.